The series that looks at current events through the lens of psychology. Michael Blastland explores the quirky ways in which we humans think, behave and make decisions. 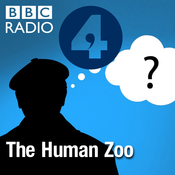 In this programme, the Zoo team are watching people, who are watching people, who are often as not going round in circles. And trying to work out what it is in the mind that makes that so compelling. It's time for the Olympics, and we're investigating the psychology of being a sports spectator. Even if you're not watching the Rio Games, you might be curious why so many do. Is it an animal impulse to display and enjoy watching physical skills? An instinct to compete, to tell stories? Are we drawn to the drama of the spectacle, the unknown result? Or is it a vicarious pleasure, imagining yourself at the starting block? Michael Blastland is joined by resident Zoo psychologist Nick Chater, Professor of Behavioural Science at Warwick Business School and roving reporter Timandra Harkness. Guests this week include sports commentator Alison Mitchell, former sports reporter Lynne Truss, Daniel Glaser from King's College London, philosopher George Papineau, and motorsport presenter Gareth Jones. Producer: Eve Streeter A Pier production for BBC Radio 4. The series that looks at current events through the lens of psychology. Michael Blastland explores the quirky ways in which we humans think, behave and make decisions. In this episode - why do we tend to be more attuned to the dangers posed by rare, exceptional events, such as acts of terrorism, than we are to more everyday threats such as car crashes, which are a more immediate and real risk? Why do rare events sometimes feel more frightening? People are continually alert to the odd - we have a better memory for things that seem different from others. We will pay more attention to strange events than equally bad normal events. So the more used we become to a 'bad thing', the less we are unsettled by it. Which might mean that the impact of terrorism is diminished the more common it becomes. But there is something else. Strange events suggest our view of the world is wrong - that the world makes less sense than we thought, and perhaps is more malevolent or unjust. And a feeling that we can make sense of the world and our own lives within it can be important for our well-being. Michael Blastland is joined by resident Human Zoo psychologist Nick Chater, Professor of Behavioural Science at Warwick Business School, and roving reporter Timandra Harkness. Guests this week include the BBC's chief international correspondent Lyse Doucet, Christopher Olivola from Carnie Mellon University, Jacob Feldman from Rutgers University, screenwriter Jayne Kirkham and Doctor Who scriptwriter Gareth Roberts. Producer: Eve Streeter A Pier Production for BBC Radio 4. The series that looks at current events through the lens of psychology - Michael Blastland explores the quirky ways in which we humans think, behave and make decisions. In this episode - disruption and how it affects us. Cancelled trains or political and economic turmoil - when things happen beyond our control, how do we react psychologically? Not well, usually. We don't like uncertainty. We tend to avoid a change to the status quo, almost at all cost. But are there cases when a bit of disruption has benefits? The Human Zoo team explores everything from displaced German towns and lateral problem-solving to comedy improvisation and music composition. Michael Blastland is joined by resident Zoo psychologist Nick Chater, Professor of Behavioural Science at Warwick Business School, and roving reporter Timandra Harkness. Contributors this week include behavioural scientist Dr Stian Reimers, City University London; broadcaster Nicholas Parsons; psychologist Prof Thomas Ormerod; members of Spontaneity Shop, comedy improvisation company; and broadcaster and journalist, Tim Harford. Producer: Dom Byrne A Pier production for BBC Radio 4. The series that looks at current events through the lens of psychology. Michael Blastland explores the quirky ways in which we humans think, behave and make decisions. At a time when questions are being asked both of democracy, and of how Donald Trump continues to rise in the US, the Human Zoo team investigates the so-called wisdom of crowds - the idea that collective judgments lead to the right solution. Sometimes, how we learn from one another results in human progress. Elsewhere, our tendency to copy each other's behaviour has irrational outcomes. When does the herd get it right and wrong? How do we know when the crowd is leading us in the right direction? Michael Blastland is joined by resident Human Zoo psychologist Nick Chater, Professor of Behavioural Science at Warwick Business School, and roving reporter Timandra Harkness. Contributors this week include Yale economist Robert Shiller, science writer Philip Ball, Alex Mesoudi from the University of Exeter and author Steven Poole. Producer: Eve Streeter A Pier production for BBC Radio 4. The series that looks at current events through the lens of psychology. Michael Blastland explores the quirky ways in which we humans think, behave and make decisions. In this week's programme, a question of trust - why do people have a tendency to distrust experts and expertise? It has been made much of in the UK's Brexit campaign to leave the European Union. 'People in this country have had enough of experts,' claimed Leave campaigner Michael Gove. What's behind this lack of faith in authority? The Zoo team discover that the difficulty of evaluating expertise is a problem we all face - because to really understand what's going on, you have to know what you don't know, and it's easier to spot the flaws in other people's reasoning and knowledge than to see it in ourselves. But then forecasting is a tricky business, and the experts don't always get it right. So, who to trust? Michael Blastland is joined by resident Human Zoo psychologist Nick Chater, Professor of Behavioural Science at Warwick Business School, and roving reporter Timandra Harkness. Guests this week include David Dunning, professor of psychology at the University of Michigan; Professor Barbara Mellers from the University of Pennsylvania; journalist turned teacher Steve McCormack; and Olympic silver medalist and two-time world champion rower Annie Vernon. Producer: Eve Streeter A Pier production for BBC Radio 4.